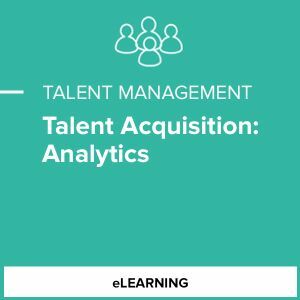 What role should analytics play in Talent Acquisition? The Talent Acquisition: Analytics module defines metrics and analytics and explores the use of each through practical examples. The first section will define key metrics, provide formulas, and include real-world examples. The module then introduces a robust people analytics model, featuring the Four Stages of Analytics.